I’m writing this post under duress. Not duress, exactly, but under orders. There’s a woman in Rome who’s been my student for the past ten years. We meet weekly just to talk, to help keep her English speaking skills honed. Last week, I checked the time just as I rang the bell and was horrified to discover that I was an hour early. When she opened the door, I offered to go away for an hour, but she ushered me into the kitchen. “I’m cooking,” she said and steered me to a chair. 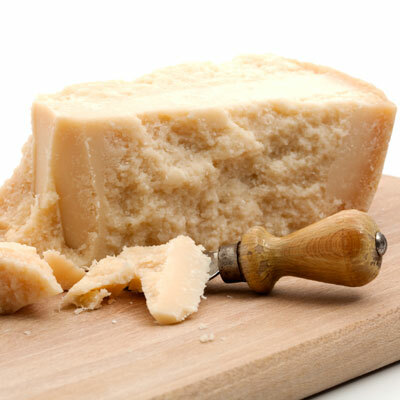 leaves from the stalks and chunked the Parmigiano-Reggiano, I had a ringside seat. We chatted as we do about this and that. When she finished, I got to sample the finished product. And she said to me, “When you put this in your blog, you have to say it’s Olimpia Pallavicino’s recipe—not yours.” And so it is. Olimpia didn’t measure anything; she just prepared it by instinct. I’ve tried to standardize the recipe, using American measurements (with metric equivalents in parentheses). 2 cups basil leaves, lightly packed. Olimpia used the leaves from three stems. 1/3 cup pine nuts (40 grams) Olimpia stressed that you must use the best pine nuts you can find. 1 clove garlic (optional) Olimpia omitted the garlic. Place all the ingredients in a food processor and process until smooth. Olimpia did not grate the cheese. Instead she added it in chunks. She used a blender, and it took a while for the cheese to be completely pulverized. As a result, the pesto was very smooth. 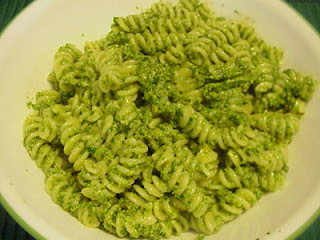 Olimpia planned to serve the pesto with rice that evening, but for pasta she recommended using fusilli because there are so many nooks and crannies for the pesto to cling to. Makes me want to run away and move to Italy. Nothing like homemade Italian food. You're so right Rebecca. It's the best! I can't wait to try this. We love pesto. We've always bought it pre-prepared. Lately, my husband (who does most of the cooking) has been throwing asparagus tips into the boiling pasta during the last few minutes it cooks, and then we drain and add the pesto, and it's wonderful! I just bought a basil plant last week. I'm going to try this! Meanwhile, I use pesto from a jar, but this will be so much more fun! Thanks, to you and to Olimpia. This looks great. Terrific summer dish. I've learned to add veggies to the boiling pasta, too. Sometimes, I save the water I boil veggies in and use it later to boil the pasta--if the ingredients are compatible. Enjoy. I'll give your regards to Olimpia. Pesto is really easy to make--and use the best ingredients, please. Thanks for your comment. Enjoy the pesto. I've never tried pesto with asparagus. I'd think the delicate flavor would be overpowered by the pesto. As someone who spends a great deal of time in Italy, I can chime in that the homemade pesto there far exceeds what I can make here in the States. I wonder if the Genovese strain of basil is different?? Yes, Cassy, the Genovesse basil is different. I discovered that one summer. I always try to grow it. I'm thrilled to find out you don't have to put the garlic in pesto. I love pesto but have recently become allergic to garlic. I make pesto every summer and freeze it in snack-sized ZipLoc bags. Just leave out the cheese and add it to the defrosted pesto when you your pasta. One summer I made 25 meals from two plants. I just kept picking the leaves and cutting off the flowers if the plants tried to bloom. Hubby and I eat pesto all the time. Not sure how he'll like it without the garlic though. 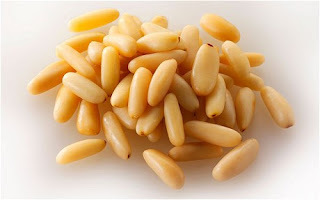 I toast my pine nuts before I toss them in the blender. Even Olimpia recommended freezing pesto! I suggest silicone baking forms. They hold about a half cup each. After the pesto is frozen, you can pop it out and store in one bag. The word "pesto" comes from the verb "pestare" which means "to beat up" or "to mash." That's essentially what you're doing to the ingredients for pesto, which is traditionally made with a mortar and pestle (hence the name). Great! Don't forget the fusilli, and give Tony a kiss for me. I grow basil in the summer and make my pesto this way. But I add LOTS of garlic. I like garlic, too. But this version was quite tasty without it. I harvest my basil before the weather gets it and always make pesto. We're a garlic family, so I use garlic. I'm sure the ingredients I find aren't as good as they are in Rome. Guess I'll just have to move there. Patricia, you know how that would break my heart. NOT! Polly, you have to be vigilant about plucking off the flower buds on basis throughout the summer. If it blooms, it becomes bitter and it stops producing. 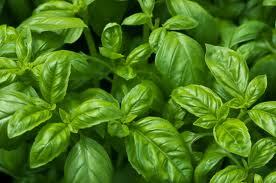 Italians tell me that the flavor of basil isn't really top notch until the weather is hot. And the plant needs about 12 hours of direct sunlight, too.